Children and teens with autism spectrum disorders often come to hospitals when behavioral episodes overwhelm the support that caregivers can provide at home—but resources at hospitals are sometimes limited, too, says clinical psychologist and researcher Giulia Righi ’04 PhD’09. With that reality in mind, Righi led a new study to identify which factors put young people with autism at especially high risk of seeking inpatient psychiatric care. Identifying and addressing the factors that make hospitalization more likely, she says, could reduce such instances. Notably, only two of the risk factors identified in the study of patients with an autism spectrum disorder (ASD)—their severity of autism symptoms and the degree of their “adaptive” daily life functioning—were specific consequences of the disorder. The strongest risk factors—disrupted sleep, having a mood disorder, and living in a home with a single caregiver—are not necessarily associated with ASD. “Our results underscore the importance of a multidisciplinary approach to the assessment and treatment of children and adolescents with ASD that addresses behavioral, psychological and psychiatric, adaptive, sleep, and medical functioning in order to decrease behavioral crises and the utilization of inpatient psychiatric services,” Righi and co-authors wrote in the study published in Journal of Autism and Developmental Disorders. 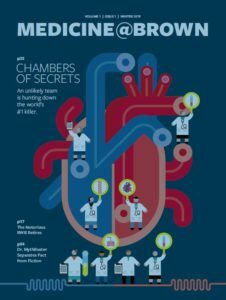 The study made unique use of two large datasets with unusually rich information about patients, Righi says: the Autism Inpatient Collection, which includes data from children’s psychiatric hospitals in six states, and the Rhode Island Consortium for Autism Research and Treatment (RI-CART). 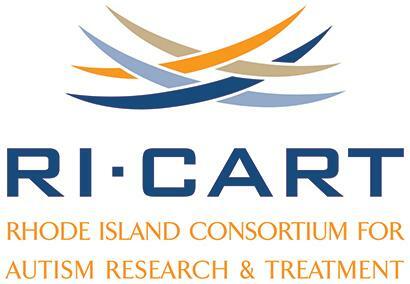 Founded in 2013 by a coalition of local institutions including Brown, Bradley Hospital, and Women & Infants Hospital, RI-CART has grown to become a community of about 1,500 patients and their families.